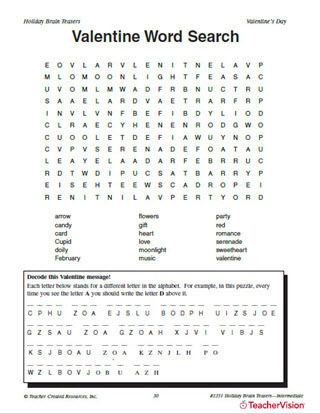 Do you want a fun activity for strengthening vocabulary and connects to Valentine's Day? Then this is the worksheet for your students! Students will reflect on the holiday by completing word games such as "hink pink" (or finding words that rhyme) and competing to see how many words they can make out of the word "Valentine". This is a really accessible activity for grades 3-5.